KENNEDY SPACE CENTER, Fl — When one thinks of the space age, one thinks of gleaming white rockets and astronauts boldly exploring the cosmos. However, the most recent mission that saw astronauts travel beyond the gravitational sphere of our world – is now 42 years in the past. On Dec. 11, 1972, the last manned mission to the Moon touched down in the dusty lunar regolith in a valley more than 250,000 miles (402,336 km) above our world. While Lunar Module Pilot Ronald E. Evans circled high above the cratered terrain far below in the Command Module “America” (CM-114) Apollo 17 Commander Eugene A. Cernan and Lunar Module Pilot Harrison “Jack” Schmitt – embarked on a voyage of discovery that would mark the longest period astronauts would spend on the Moon. 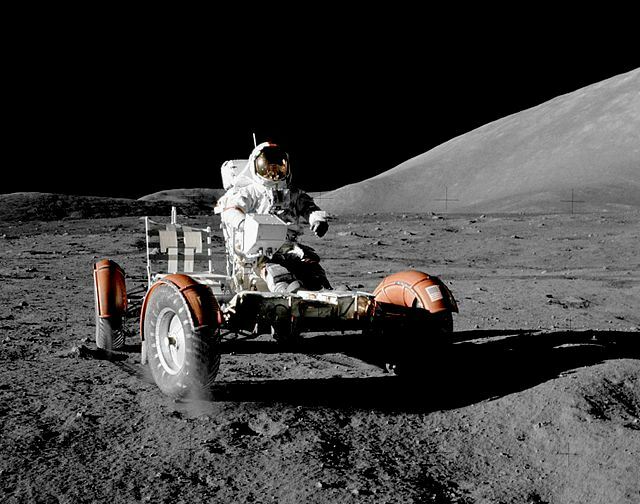 Apollo 17 would also go on to collect the most soil and rock samples from the Moon. 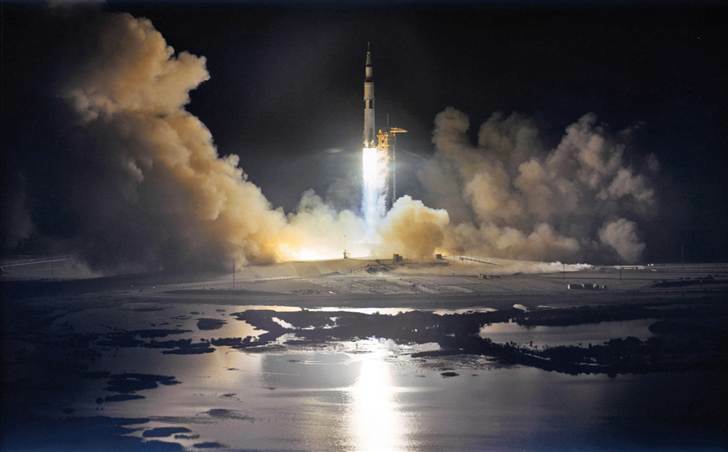 Apollo 17 lifted off from NASA’s Kennedy Space Center in Florida from historic Launch Complex 39A. The last crewed mission to the Moon – got its start at 12:33 a.m. EST (0533 (1972-12-07UTC05:33Z)(1972-12-19UTC19:25:00Z)GMT) atop one of the last Saturn V rockets to be fielded (the only other Saturn V to be launched – was the one that would power the Skylab space station to orbit). It also marked the only time that a mission to the Moon – would take off at night. 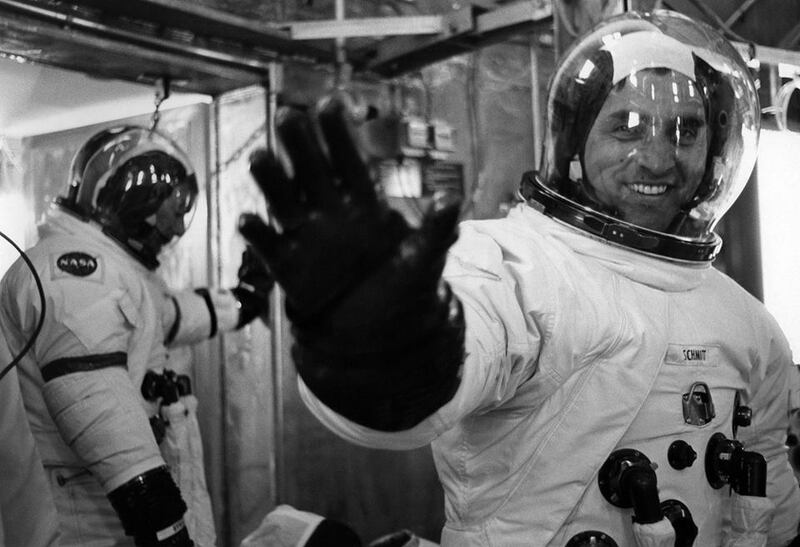 As the two astronauts stepped off their LM – the mission’s commander made sure to thank the legion of engineers who made it possible – and whom had worked themselves into unemployment with the flight of Apollo 17. “As I step off at the surface at Taurus-Littrow, I’d like to dedicate the first step of Apollo 17 to all those who made it possible,” Cernan said. The duo safely touched down in the Taurus-Littrow highlands, a location selected for the Apollo 17 mission due to the fact that it was believed to contain both old and new rocks (geologically speaking) than those returned to Earth on prior missions. This was the last of the J-type missions (the others being Apollo 15 and 16). These expeditions to our nearest celestial neighbor were different in that they were more robust than the G and H series. 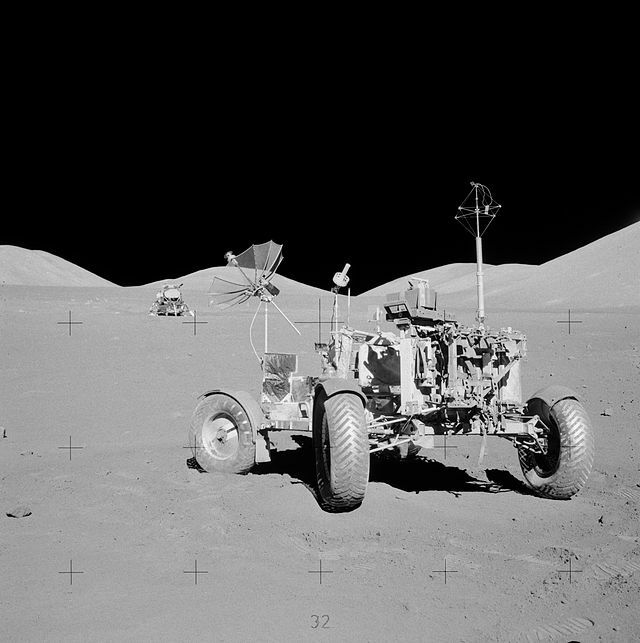 They had a larger payload capacity and were able to traverse more ground via the Lunar Roving Vehicle, or LRV. While the vessel that served as the crew’s “ride” between worlds was named for the nation that launched her – the spidery craft that descended into the lunar highlands – was named for a ocean-going vessel that was launched in 1858, and converted into a survey ship some 14 years later – Challenger (LM-12). 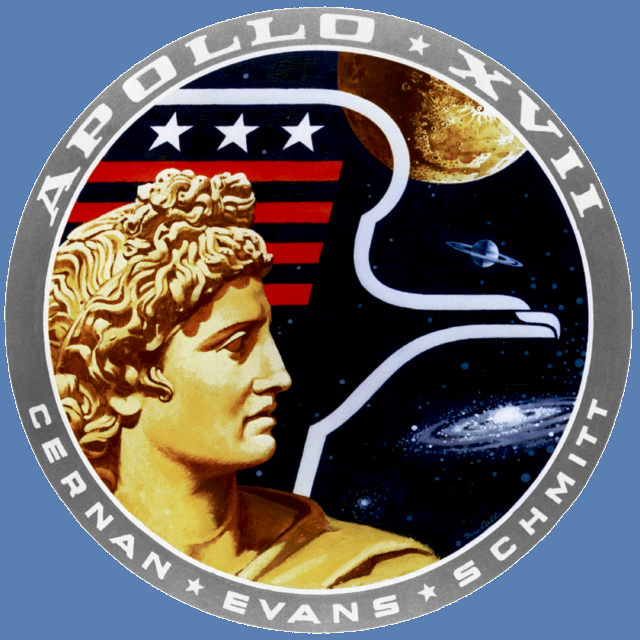 As it marked the last planned crewed flight to the Moon, Apollo 17 had an array of scientific objectives for the trio of astronauts to carry out. Cernan and Schmitt carried out geological surveys and sampled the lunar terrain, they activated an array of experiments both on the Moon – and in space. These included the Apollo Lunar Surface Experiments Package, or “ALSEP” along with the heat-flow, lunar seismic profiling (LSP), lunar surface gravimeter (LSG), lunar atmospheric composition experiment (LACE), and lunar ejecta and meteorites (LEAM). NASA wanted to “get its money worth” out of the Apollo 17 mission and had the crew conduct biomedical experiments which included the Biostack II and BIOCORE experiments. Cernan has stated in interviews that he did not expect the period between the Apollo landings and the next crewed flights to Selene (the Greek name for the Moon) – to be so long. The statements made by the “Last Man on the Moon” as he was leaving the silent terrain tend to reflect this. “…as I take man’s last step from the surface, back home for some time to come – but we believe not too long into the future – I’d like to just [say] what I believe history will record. That America’s challenge of today has forged man’s destiny of tomorrow. And, as we leave the Moon at Taurus- Littrow, we leave as we came and, God willing, as we shall return, with peace and hope for all mankind. Godspeed the crew of Apollo 17,” Cernan, obviously out of breath, stated. As humanity marches into its fifth decade since it strode on the plains and valleys of another world it is unclear when mankind will return. Therefore, the thoughts of the leader that started us on that initial journey – take special meaning on this day. “… the United States was not built by those who waited and rested and wished to look behind them. This country was conquered by those who moved forward, and so will space,” said President John F. Kennedy during a speech given at Rice University in Texas on Sept. 12, 1962.